Remember my last post about anachronisms, those careless references in fiction to things that belong to another time? Writing Ms. Dee Ann, a novel set in 1979, was fun—I could refer to Jimmy Carter being in the White House, for example—but tricky—I had to watch out for those anachronisms. In one scene, I have Dee Ann confronting her friend Marilyn about her marital infidelity. Dee Ann demands to know “the whole truth” about Marilyn’s long evening out with a book salesman at an educators’ conference the two had attended. Marilyn, while denying any wrongdoing, nervously begins to twist the chain of her long gold necklace. The chain Marilyn is twirling gets tighter and tighter around her neck. I love the image here of the necklace becoming a noose, the truth choking Marilyn as Dee Ann confronts her. While writing this scene, I got an idea. Why not make that necklace an add-a-bead? 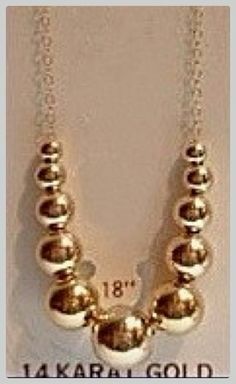 I had one of those long chains with the gold beads myself back in the day. But exactly when back in the day? Time to google. Alas, all the sources agreed: those preppy gold add-a-bead necklaces were popular in the early 1980s, a couple of years after the time of the novel. I could probably get away with it, but somewhere out there, an alert reader might pick up on the anachronism. Not important enough to use it—or change the year of the novel to accurately accommodate a reference to the old add-a-bead necklace. Marilyn’s necklace remains simply a long gold chain.